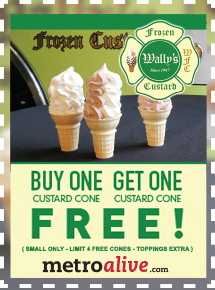 Present this deal on your mobile device to receive a Buy One, Get One FREE deal on small custard cones. Limit one per person per visit. Limit 4 free cones. Toppings are extra. 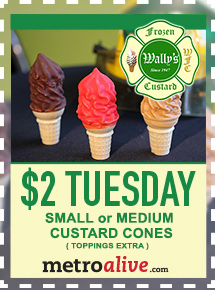 Present this deal on your mobile device to receive a small or medium custard cone for just $2.00. Toppings extra. 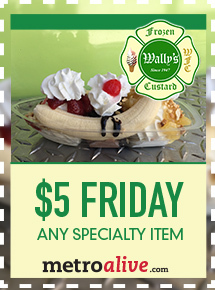 Present this deal on your mobile device to receive any specialty item for just $5.00 & a free glow stick for the kids!